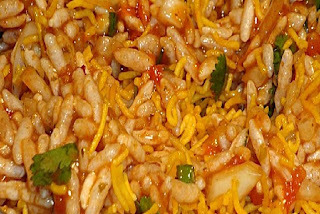 Main Informations: How to make Bhel Puri ? How to make Bhel Puri ? Paapri, coarsely crushed 100 gms. Raw mango chopped 4 tbsp. Green chilies, deseeded, finely chopped 4 nos. taste adjust the chili powder. Then ready to serve.